What could have been just another line or column chart is given a new treatment that means its story clearly comes through. 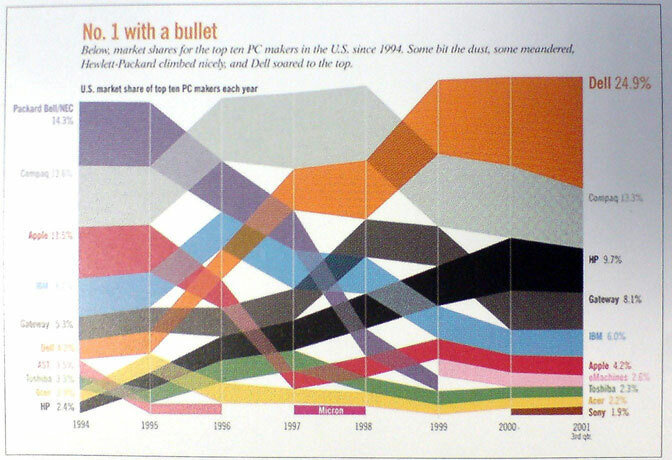 Though worth pointing out – before you press ‘print’ and going running to your designer shouting ‘I want one of these’ – this is not a solution for every chart henceforth. It works here because this set of numbers tell a strong story when displayed in this format. That is the right way round to create a good graphic – explore the content, find a story, then choose (or invent) a suitable format to tell it.